One of the best, the most luxurious ideas on dining table sets, perfect for a modern dining room is the combination of tempered glass table and leather chairs. If you would like to highlight your modern atmosphere, stick to light leather shades. Light leather shades, combined with a black tempered glass dining table, will give the room an even brighter, more memorable look. And, despite its modern look, a black and white combination is one of the classiest decoration trends available. A clear glass dining table will also look astonishing with colourful chairs — no matter which upholstery material they feature. Basically any colour works in this decoration setting, so you can choose whichever accents you like. Another example of dining table sets, perfect for a modern dining room are chunky rustic designs. They look especially impressive in dining rooms with bare architectural beams. Or, you can go with simple wooden sets — not only they are in trend right now, they will mostly remain relevant even after a decade or two. The combination of wooden dining table and velvet chairs will give a touch of retro to your dining room interior, stylishly accentuating modern elements. You can go either with dark, light, or bright upholstery shades here. Simple fabric upholstery, perfect for wooden tables, is re-experiencing another peak of popularity. Plus, it often gives you a chance to mix match chairs. Transparent plastic chairs — and maybe even a table, too — will give a very light memorable look to your dining room, adding an element of surprise into the interior. With a spacious dining set, it is also possible to line up two different chair colours on both sides of the table. The idea works fine with any table type, but clear glass table and bright chair colours is the best example. Also, try sticking to flowing, high chair back design and look for unusual bases — both when it comes to chairs and tables. 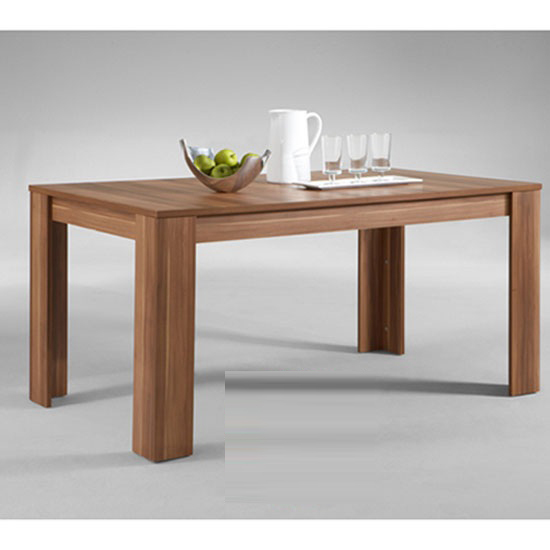 Finally, do not forget that the choice of dining table sets will mostly depend on the space you work with. In a relatively large room, you will have a lot of options to consider. In a small room, the task might prove to be more challenging. If this is the case with you, check out these simple tips.